NWHL Free Agency began June 1 and historically, signings throughout week one are plentiful. In terms of 2018 NWHL Free Agency, we’re two weeks in and there have been 12 signings across the league. Sounds pretty good, right? But what if I tell you 10 of 12 signings have been from one team? How weird is that?? 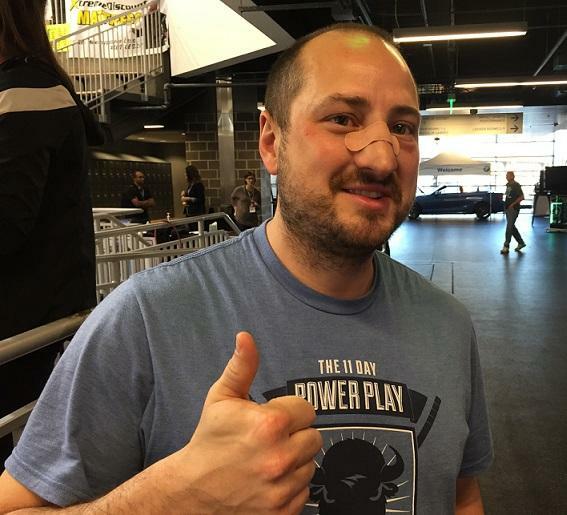 Thus far, newly minted Buffalo Beauts general manager Nik Fattey has been putting in some serious work and has not been shy about being the new guy in town. Since free agency began, Fattey and the Beauts have added five NWHL All-Stars, two gold medalists, and have also recently added three collegiate players. All three of them captains of their teams. All of their teams were in the Frozen Four. Elsewhere around the league? Two. TWO signings. The Metropolitan (can we just call them New Jersey) Riveters penned Amanda Kessel (huge signing) and the Minnesota Whitecaps have officially added NWHL Goaltender of the year, Amanda Leveille. Why the white noise from the rest of the league? What’s going on? Could teams be in contact with the plethora of unsigned Olympians and are waiting for all of those dominos to fall? Possibly. Or more likely, is there a team that everybody wants to play for and are hoping/waiting for a call? I’ll go with the latter. Buffalo instantly became a destination the moment Kim and Terry Pegula acquired them under the Pegula Sports and Entertainment umbrella. The Pegulas bring support, stability, and financial backing that simply cannot be matched by any other NWHL club at this time. The Pegula-owned HarborCenter, in which the Beauts play, is a world-class complex that contains unrivaled workout facilities headed by Jason Jerome and the Impact crew. All of this is very attractive to a professional athlete in a brand new league that is still losing it’s baby teeth. Nearly the entire US Olympic team remains unsigned, including Buffalo native and former Buffalo Beauts captain, Emily Pfalzer. The lack of signings in the rest of the league is very interesting to me and the silence is deafening. In my humble and most modest opinion (and maybe a little biased), there are some huge dominoes waiting to fall and those dominoes are hoping for a one-way ticket to Pegulaville. As the Isobel Cup Final approaches, the NWHL season is quickly coming to a close. With the regular season in the rearview mirror, the league takes the time to reflect on the season and present its awards for the players that stood out from their peers over the last six months. The Buffalo Beauts will compete for the Cup for the third consecutive season – an honor held by no other team in the league. It’s no surprise, then that several Buffalo Beauts were nominated for awards, and that goaltender Amanda Leveille and forward Hayley Scamurra have taken home the hardware. Competition for Goaltender of the Year was certainly tight. Riveters netminder Katie Fitzgerald held the top spot in goals against average and save percentage, tying Leveille for the league lead with 12 wins. While Fitzgerald has been consistent all season, Leveille played more minutes and faced nearly 150 more shots on the year. Much of the damage to Leveille’s statistical performance was done in the first six games of the season. In the final 10, the second-year goalie out of the University of Minnesota has put on a veritable clinic. The rough six game start to the year saw Leveille’s goals against average bubble to 4.00, but in the final 10 games, that dropped to an incredible 1.67. In that same stretch, her save percentage rose to .939. It was her quick development and leadership ability that rightfully earned Leveille Goaltender of the Year. The rookie of the year race was also a tight one, and it is perhaps bittersweet that linemates Hayley Scamurra and Maddie Elia would be so closely matched that either could have carried the title. Though it is Scamurra who wins the award, there is a lot of be said about Elia’s rookie season. A point-per-game producer, 11 of Elia’s 14 points were primary points – that’s nearly 79 percent. Likewise, 11 of her points were at even strength; again 79 percent. These impressive numbers, combined with Elia’s physical dominance earned her the right to battle Scamurra for rookie of the year. It was Scamurra that emerged with the crown, however, and the young power forward has certainly earned it. Nominated to take part in the series against Team USA and also an all-star representative for the Beauts, Scamurra has had a fantastic season. She spent the first two months of the year commuting from Northeastern University, where she was completing her degree. Once she was able to return to Buffalo full time, there was a clear change in Scamurra, who ended the season with 14 points. The two freshman played most of their minutes with Kourtney Kunichika, who has a tendency to be a calming influence for such physical and gifted players as Elia and Scamurra. 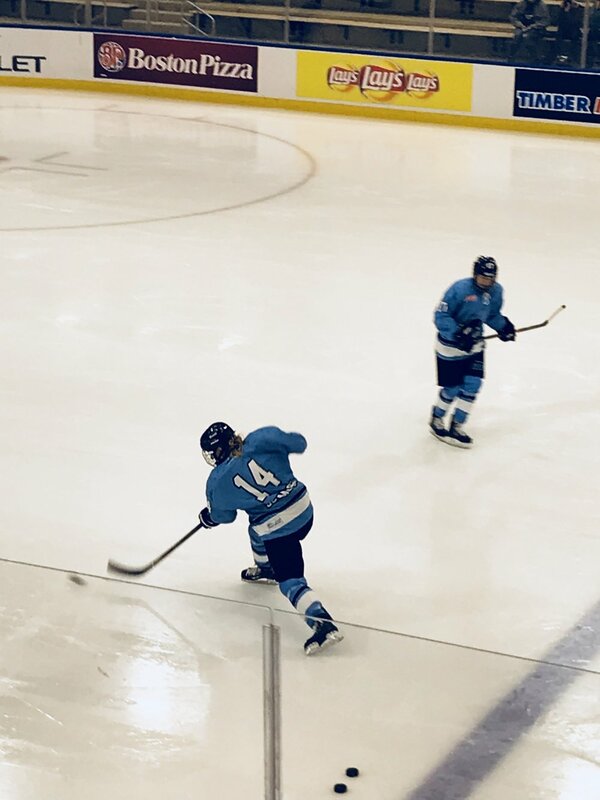 Their shifts were frequently the strongest for the Beauts, and there were often times where it seemed that Elia and Scamurra were in a constant one-up battle to see who could impress more with their hands, physicality, and pure sniping ability. Congratulations go out to Leveille and Scamurra on their awards, and Elia on an incredible season that earned the nomination. 716 Sports Podcast wishes the Beauts the best of luck in the Isobel Cup. Jacquie Greco received the NWHL Foundation award for her tireless work in the community. Greco has worked as a coach with the Buffalo Sabres Learn to Play program, teaching the game to hockey’s youngest fans. As a coach and an ambassador, Greco is invaluable to the community and to the team. The Buffalo Beauts have announced that forward Jordan Juron has signed for the remainder of the 2017-18 season. Juron, who wore number 7 in her debut with the Beauts on January 14, had an assist in her only NWHL action prior to this contract. She played on a one-game PTO with Buffalo in a matchup against the Connecticut Whale at Pittsburgh’s UPMC Lemieux Sports Complex. Whispers of this move were heard prior to the March 6 deadline, however, no formal announcement was made by the league and tweet from the team served as the only notice of this transaction. Juron provided this statement to 716 Sports Podcast via e-mail: " "When I found out the Beauts wanted me to join them in Pittsburgh on a PTO I was very excited about the opportunity, but I was also pretty nervous not having played a game since Hockey East playoffs in March of 2016 with Boston University. The team was so welcoming though and it was nice to have a few familiar faces in the locker room - they made me feel right at home. Playing in that game not only made me miss hockey even more and lit a little fire in me to get back to playing full time, but also showed me how much I missed being part of a team. I am beyond grateful that the Beauts have given me this opportunity especially amidst a 9 game winning streak and with the playoffs just one week away. The team is hot right now and I'm looking forward to the opportunity to do whatever I can to help achieve the goal of repeating as Isobel Cup champions!" Buffalo will wrap up the regular season on the road against Connecticut at 7pm on Saturday, March 10 before coming home to face the Boston Pride for the first playoff game at the HarborCenter in team history. In a league full of stars, Buffalo Beauts forward Hayley Scamurra is a supernova. When Scamurra is on the ice, play seems to revolve around her. The puck gravitates toward her. While she and her linemates Maddie Elia and Kourtney Kunichika have been an unstoppable force in the league through the 2017-18 season, Scamurra has impressed in the NWHL, friendlies with the US Women’s National Team, and the NWHL All-Star Game. Scamurra is certainly driving the offense of the Beauts. Tied at second in scoring with Elia, her 11 points are one shy of the team high of 12, held by Kunichika. Scamurra is one of the best possession players in women’s hockey, which is demonstrated by her 46 shots on goal this year, good enough for second in the league. She also carries a plus-3 rating through her 11 games, which is not surprising considering 64 percent of her points have come at even strength. Scamurra is grateful that Seiling took a flyer on her last season. She says it definitely helped her transition to her rookie season. “I think playing last year made me feel more comfortable in the league. Even though this is my rookie year, I have felt pretty confident and comfortable,” Scamurra told 716 Sports Podcast. Scamurra credits her linemates for much of her success. “We have great chemistry. We all battle and we find each other - we’ve been lucky enough to put some in,” she told the press after the Beauts broke the Metropolitan Riveters’ win streak. The line is firing on all cylinders. Of Scamurra’s 11 points, 9 are primary and 7 are even-strength primary points. Special teams is clearly key, but the even-strength contributions are certainly the catalyst for the Beauts’ 7-game winning streak. The last twelve months have been nearly flawless for the Beauts, and it would be difficult to overstate the importance of the team’s leading scorer in that time. Young, strong, fast, accurate, and responsible, Hayley Scamurra’s rising star is lighting the path for Buffalo’s success. It’s only halfway through February, but 2018 has been a good year for the Buffalo Beauts. Just before the year turned new again the team got perhaps the best possible news, when it announced that Pegula Sports and Entertainment had struck a deal with the NWHL and become the first private owners in North American professional women’s hockey. Since the Beauts found an owner, the team has yet to lose a game. The six-game winning streak was extended on February 3, when Buffalo finally defeated the Metropolitan Riveters to close out the regular season home schedule and lock down the first home playoff game in team history. The story of the season is highlighted by recent success, but things haven’t necessarily gone as planned all year. On December 11, 716 Sports Podcast published a piece outlining some of the weaknesses that helped explain a string of defeats the team had suffered. Since then, the Beauts have certainly righted the ship in many ways. Though things are frequently still touch-and-go in the third period, overall game performance has improved immensely; especially in shot differential. 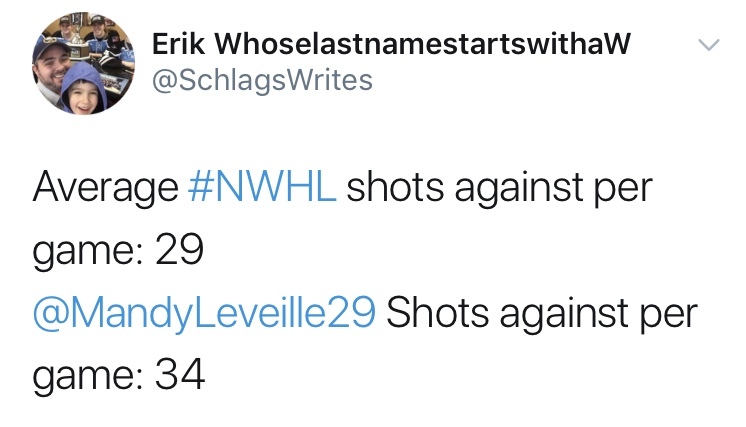 Goaltender and All-Star captain Amanda Leveille had been facing 34 shots per game, while the NWHL average shots against was under 30. Leveille still has the most minutes, shots against, and saves, but her shots per game has seen a small drop. After 12 games played, the Beauts have improved slightly; Leveille is seeing just over 31 shots per game. The league as a whole, though has dropped slightly and is now under 29 shots against per game. The gap between the two has diminished, though, and that makes a difference. It’s not the biggest of margins, but the improvements overall are clearly important. What’s perhaps most incredible is that the team has improved by over four shots per game; where once the shot differential was approaching six, it is now just minus-1.6. If this trend continues, Buffalo will end the season with a positive shot differential for the first time in its three seasons. Secondary scoring has also helped to drive Buffalo’s momentum. Five of Buffalo’s starting six defenders have contributed primary points. Forwards who would be considered depth players like Kristin Lewicki and Kaylyn Schroka both have contributed five or more primary points. Kourtney Kunichika, who anchors the Beauts’ most productive line, is the only player who isn’t a Riveter to have 10 or more primary points. A combined improvement in goaltending, shots, and production, have been contributing factors to Buffalo’s success in the last six games, and the difference between that set and the first six shows in the standings. By December 10, the team had fallen to third place and was desperate for a positive. Since then, the team has been undefeated and shown marked development in many ways. Of course, this is familiar territory for Buffalo. The underdog in the last two championships, the Beauts’ storied championship run last year is a wonderful blueprint for success again this season. Hopefully it doesn’t take 60 saves from Leveille to make it happen. Every athlete at every level at every age has had the dream of being a champion. Relatively few get to live out the fantasy, and even fewer do it on a national level. Buffalo Beauts goaltender Amanda Leveille has done it in three consecutive seasons - two with the Minnesota Golden Gophers and most recently with the Beauts. While Leveille has been tearing it up in her HarborCenter home, she’ll return to Minnesota on February 10 to captain Team Lev at the NWHL’s All-Star Game. It’s a big year for the league, and for Leveille. 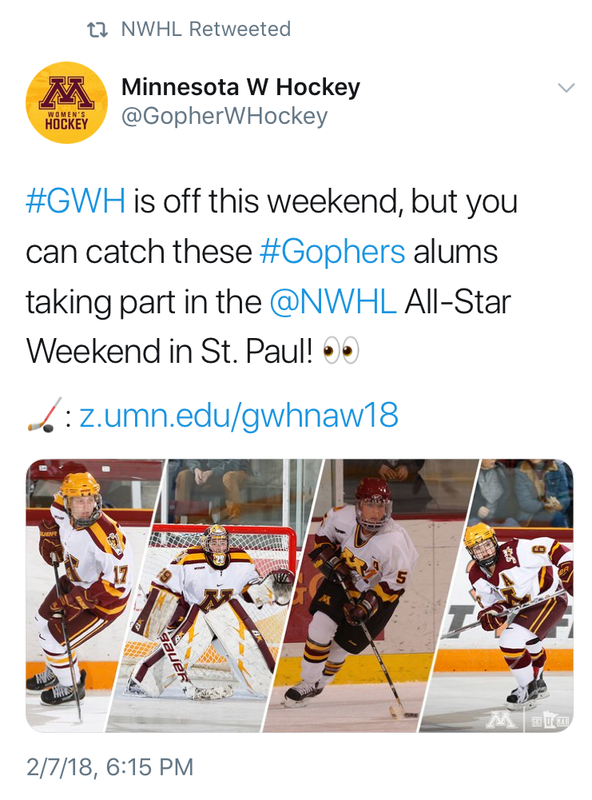 Selected players will travel to the mid-west and join forces with current and former Minnesota Whitecaps greats for the Skills Competition and, of course, the All-Star Game. Leveille took some time after a recent win to speak with 716 Sports Podcast about the honor, the game, and what’s happening in LevWorld. 716 Sports Podcast: Which has felt better – New ownership by the Pegulas, six-game win streak, or being named all-star captain? Amanda Leveille: It’s impossible to say one feels better than the others when I am so grateful for all three! 716: When you got the news about the All-Star Game, what was your reaction? AV: I was very surprised and grateful for the opportunity to be a captain at the All Star Game in a state that become my home away from home in college. Couldn’t be more excited to play another game in the state of hockey! 716: You took three Buffalo defenders in the ASG draft. Is that an indication of how comfortable you are with your blueline? AV: I love my defenders they work hard and sometimes make some saves for me! 716: Who did you choose that you’re most anticipating playing with? AV: Jordyn burns. We were Gopher teammates and we’re both excited to play another game in Minnesota. 716: Any predictions for the weekend? AV: Team Leveille 40 Team Ott 0. Just kidding. I’m anticipating a fast paced thrilling game. Can’t wait! 716: With Brianne McLaughlin out of the way, are you keeping the fastest goalie title in the Queen City? AV: Negative. I have a better chance of on winning the accuracy or hardest shot! We thank Amanda for her time. For the third consecutive season, a Beaut is captaining an All-Star team, and Leveille’s predecessors are undefeated in the previous iterations. Be sure to tune in to NWHL.zone for the broadcast and cheer on the league’s best and brightest. On Jan 20, the Buffalo Beauts will return to the HarborCenter to face the Connecticut Whale in a bid for the team’s fourth consecutive victory. The team is over .500 for the first time this season and looking to put important distance between themselves and the third place Boston Pride, who have a tough task against the undefeated Metropolitan Riveters. Buffalo is coming off of a 4-3 win which saw the team overcame the absence of four of its top players. Captain Corinne Buie joined linemate Jess Jones, power forward Hayley Scamurra and defender Sarah Edney in Tampa for a series of friendlies against Team USA in advance of the Olympic Games. The team’s incredible depth was on full display, with Kourtney Kunichika, Taylor Accursi, and Maddie Elia all padding their points stats, continuing to lead the team. It was a fruitful visit to Florida for the crew, with Scamurra scoring a goal in the second game of the series. Team NWHL played admirably against one of the world’s most powerful teams, and the competition revealed some weaknesses in the American’s strategies. Hopefully Team USA can get it figured out in time to take home the gold. The win over the Whale was a return to center for the Beauts, who were outshot through the game and allowed two third period goals. At the same time, the team’s astounding depth came through, scoring four goals without the aid of key forwards and the only blueliner to have scored through the midway point of the season. It was a key win for Buffalo, who is riding high on the confidence of their current win streak. The Beauts have a dangerous tendency to abandon the front of the net when things get hairy in the defensive zone. This allows teams unchecked whacks at free pucks and puts netminder and All-Star captain Amanda Leveille in a precarious position. The team needs to keep its structure and stop chasing the puck. Coaches Ric Seiling and Craig Muni have worked with the team on defensive positioning and it is important that the team carry these lessons into the game. Clean up the crease, tie up sticks, and end the loose pucks in front. This will minimize both shots and high-danger opportunities. Leveille has been more confident playing the puck, and it is a dynamic that teams may not have recognized. It is an important part of Buffalo’s transition – especially when a dump-in is deployed for the purposes of a line change. A quick swing up the ice can cause chaos and odd-skater rushes, which Buffalo LOVES to try to take advantage of. The team needs to handle this new aspect to the game properly. Get to the boards and get the puck to center ice. Two or three passes into the zone can spring a featured puck handler like Elia, Scamurra, or Kristin Lewicki, and the results could really help to level the playing field once Buffalo faces the Riveters again. As always, Jeff Boyd and the 716 Sports Podcast crew will bring you the action live on NWHL.zone, but there is nothing like being there and seeing the action live. Be sure to check out the new video board and join us as we take Strides Against Cancer. The puck drops at 1pm. On January 6, the Buffalo Beauts will awake from their holiday slumber and return to the HarborCenter ice to face the Boston Pride in a matinee for the ages. A lot has happened since last we saw our frozen heroes. On December 21, the league announced that the Beauts would become the first privately owned professional women’s hockey club in North America. Now a One Buffalo property, the financial security of the team has been assured as the team is now under the ownership of sports juggernaut, the Pegula family. On the same day, members of the team were notified they’d represent the league in a set of friendlies against Team USA in Tampa, Florida. Corinne Buie, Jess Jones, Hayley Scamurra, and Sarah Edney will all make the trip to face the American Olympians as a final tune-up for Pyeongchang. On a tear: Jess Jones and Kristin Lewicki each have goals in Buffalo’s last two matchups. Kourtney Kunichika and Sarah Edney each have two assists over those last two games, and Maddie Elia added one, which ties her with Kunichika as the Beauts’ scoring leaders. Making it count: Some fun numbers: Buffalo’s team save percentage is .897. Their opponents? The Beauts tear up other netminders to the tune of .895. Only the Whale have fewer shots on goal than the Buffalo, but the Beauts’ shooting percentage is almost double that of Connecticut and a full two percent better than Boston. Brittany Ott has allowed 2.86 goals per game, and Buffalo has scored 2.86. Buffalo needs to continue to make their shots count against Ott this weekend if the team hopes to put some distance between themselves and the Pride in the standings. Orange you glad I didn’t say banana? This column usually ends with something the team needs to do better, and that is usually about shots and stronger third periods. While those are both true, there is no sense in continuing to pummel this horse. With that in mind, Buffalo needs to incorporate the defense into the offense more frequently. Sarah Edney is the only blueliner with a goal this season, which is tragic given the talent on this team. Both Lisa Chesson and Sarah Casorso have the capabilities to play forward, and so the pair should be able to bury the puck from time to time. A goal from the back end would no doubt boost the Beauts; especially in these close games with teams like Boston and Connecticut. Lewicki said it best: just get that one and it’ll come with every game. The Beauts’ first game under the Pegula Sports and Entertainment umbrella should be a spectacle. It is also the team’s You Can Play game, presented by the organization that promotes inclusivity throughout sports. Be sure to come down and fill the HarborCenter for the defending champs. If you can’t make the game, tune in live at NWHL.zone. Jeff, Justen, and Erik will be joined in intermissions by Boston play by play broadcaster Marisa Ingemi for insight and analysis. If there were a worse-case scenario for the Buffalo Beauts’ season so far, this would probably be it. After a good start, the team has dropped three straight, and are occupying third place by the slimmest of margins – tiebreakers. This matchup that will take place on Saturday afternoon is the tiebreaker to end all tiebreakers, as the Beauts will face basement dwellers the Connecticut Whale for the ultimate prize: a chance to not be the worst team in the league as the holiday break approaches. Momma, I’m comin’ home: IT’S THE TWITTER GAME OF THE WEEK! Come on out and support the team – fill the stands for the international cameras that will be trained on our Beaut-iful barn. It’s also the team’s Teddy Bear Toss event, so be sure to bring a furry companion to help provide gifts to Gold Star Families. Stick like glue: A Beauts Essentials referencing weak third periods? Hasn’t this horse suffered enough postmortem bashing? Perhaps. However, it bears repeating. In Buffalo’s last home game, the team took a 3-3 tie into the third before letting the Rivs net three straight, losing 6-3. On Dec 10, the team had a 2-1 lead on Metropolitan at the second intermission, and still lost 4-2. Something has to give. The team is too good to keep dying in the final frame. It is a roster that is STACKED with scoring talent – something that coaches Ric Sieling and Craig Muni spoke about frequently in the preseason. Hopefully the home ice and international stage will spark some late-burning fire. Blueline blitz: The Beauts have three defenders on the roster who spent some time at forward last season. They are a team that has perpetually strategized offensive defensewomen. It is quite a surprise, then, that in six games, the defense has accounted for only one goal. In a piece earlier in the week, 716 Sports Podcast highlighted a diminished defensive shot rate. In fact, the only defender to have scored (Sarah Edney) is the only blueliner with double-digit shots on goal. There are a lot of factors that lead to this result. One is that Buffalo hasn’t been great at keeping the puck in the offensive zone. A lot of the team’s goals have come on the rush, or very soon after a zone entry. The Beauts do spend a lot of time in the defensive zone, which means as soon as the puck clears, the blue line is changing, and the puck is probably headed back into the defensive zone very soon. Possession. Shots. This is how the Riveters win, and it’s how good hockey teams win. The Beauts’ overall play – especially in the third period – would be boosted by an uptick in defensive contributions. Come join us on Saturday as 716 Sports Podcast brings you the Twitter Game of the Week. If you can’t make it to the game, be sure to tune in on Saturday at 1:30. We’re also working to bring you women’s hockey news on a broader level. Join us on Snapchat for video updates and answers to your questions! Round three of Beauts vs Rivs couldn’t have come at a worse time for a sinking Buffalo team. After starting the season winning two of the first three games, the Beauts have lost two straight, including the most recent loss to a previously winless Boston Pride. The 3-2 defeat at the hands of Boston had to be a bitter pill to swallow for the Beauts, who are again tied for second place with the Connecticut Whale. A win would have put them alone in the runner-up seat, and only two games behind a rocketing Riveters club. There seems to be no stopping Metro, but Buffalo needs to take care of business if the team hopes to gain any ground in the standings. Sunday afternoon’s matchups could end up turning the tables entirely on the NWHL – a Boston win against the Whale would put the Pride in second, with the Beauts possibly falling to last. 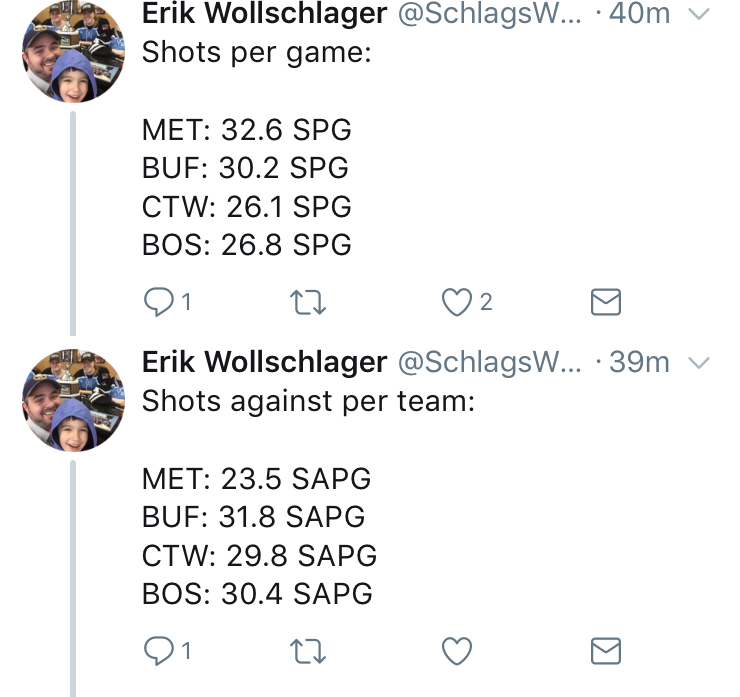 Shots shots shotsshotsshots: In Buffalo’s two wins, the Beauts have outshot their opponents by an average of nearly 13 per game. In the three losses, the team has been outshot by 14, on average. The Riveters themselves account for 35 more shots in their two wins against Buffalo. If the team is going to finally beat the Riveters, they are going to have to shoot early and often. Fitzgerald will give up rebounds – it’s the most consistent way that Buffalo has scored on the league’s leading netminder. Shoot low, clean up the garbage. It’s simple and effective, and is the secret to winning this game. Lock it down: Goaltender Amanda Leveille has faced more shots than any other goalie in the league, and has more saves than any other as well. The shell-shocked backstop needs her defense to play sound and secure in front of her. Shot suppression should be a key component to Buffalo’s strategy going into Sunday night. The defense also needs to be aware of what is happening around them. Last time MET came to town, three different goalscorers scored on a set play. The puck came to the slot and a quick pass to Lev’s glove side was easily buried. There wasn’t a blue sweater in sight. This was something the coaches stressed before the game, according to Ric Seiling’s postgame comments. It cannot happen again. Protect your goalie. Block the shots. Give Lev a chance. Running on empty: Buffalo’s best period has been the first; the team has outscored opponents 6-3 in the opening frame. Hot starts are fantastic – especially for a team that has been historically bad in the first period. Unfortunately, it goes downhill fast from there. Opponents lead 7-6 in the second and a tragic 10-3 in the third. The Riveters, on the other hand, have outscored opponents 10-2 in the final period. They are a team built on speed and endurance and Buffalo is going to have to find a way to not only set the pace, but maintain the pace, for an entire 60 minutes. Of course it’s a cliché spouted from the mouths of everyone to ever step onto the ice, but it is absolutely true. In both previous matchups, the winner of the third period was the winner of the game. Buffalo needs a strong third if a win is to be had. Be sure to tune in to NWHL.zone for live game action from New Jersey. The Beauts are down, but not out, and handing the Riveters the first loss of the season would be a sweet end to this two-game road trip.